Go Visit this Restaurant on Your Own Time. Select the Link to the Left "Want Name/Address." Outstanding La Jolla restaurant location. San Diego beach areas don’t get much better than this. Restaurant has an end cap/corner location with huge vehicle traffic all year long. Picture a light house being seen by all that are near it. This location can’t be missed as cars come and go to the beach and the surrounding residential and retail areas. Short walk to the water and La Jolla Blvd. Restaurant is on one of the busiest streets in the area with good foot traffic as well. Signage pops and restaurant really stands out at night. Large well-designed dining area with lots of windows allowing for natural lighting during the day attention grabbing at night. 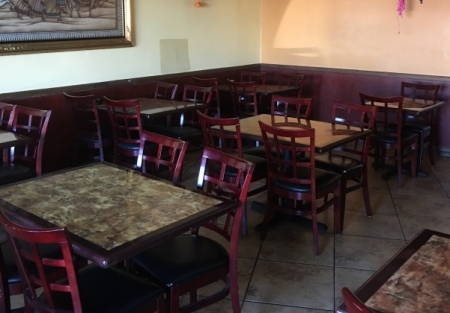 Restaurant space is approximately 2400 square feet with monthly rent of $4727 and NNN of $2000. Seller states monthly net income is 6-7k. Keep current concept or bring your own (Mexican, Chinese and Pizza are excluded) This is one of the premier restaurant locations in La Jolla. Demographics of surrounding area are some of the best in the city. With the constant flow of traffic there is absolutely no shortage of customers for you to drive into your new restaurant. Kitchen has everything you would need for all the popular concepts, Indian, Mediterranean, sports bar, dream big, this is the place to make it happen. If a huge traffic beach area restaurant is what you are looking for, you need to come look at this restaurant.